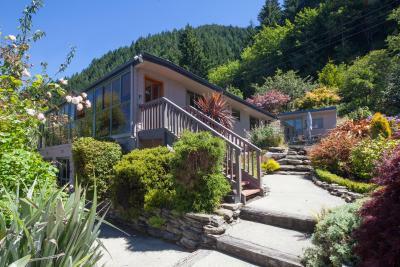 Lock in a great price for Coronet View Bed and Breakfast – rated 8.5 by recent guests! The location is very good. Just 15 mins walk to town. Bathroom was new and clean. The room was spacious, and extremely clean. View was great. Staff attentive. Friendly staff and lovely views. Comfortable bed and very quiet location. The breakfast/kitchen area was very nice, large TV to watch news on during breakfast. 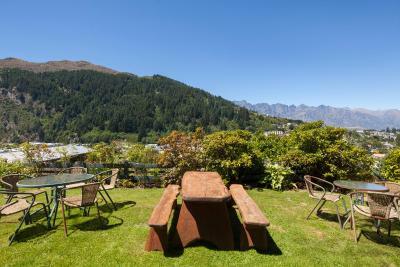 The area of this lodging is beautiful, but then most areas in Queenstown probably are. The place was very clean, staff was very friendly, easy to get ahold of when needed. The bed was fantastic. The heat lamps in the bathroom were a wonderful surprise. The hosts were so kind and funny. It was a delight to stay there. It's very close to the center of town. You walk past the field where the hang gliders land and past a field where they play rugby and are less than a km from the bowling fields and a beautiful park. The only blemish is that the last few meters to the property from downtown are rather steep... But, oh, such good exercise! All-in-all a wonderful place!! It was very quiet and had nice gardens where one could sit and enjoy the view. The staff was very helpful and welcoming. The bed was very comfortable and it was nice meeting other guests over breakfast. The rooms were nice and were of a good size, beds were very comfortable, and it had a jacuzzi but which we failed to use since you have to provide your own bath salt, etc. Sarah was extremely helpful. She helped us book an adventure jet boat excursion and it was perfect! The wi-fi was fast and appreciated. The views were great too! I throughly enjoyed staying at this B&B! The host was friendly and fun. Breakfast was great and she made sure we got it whenever we needed each morning. She also was helpful with ideas and activities in town. The walk to town was easy too! 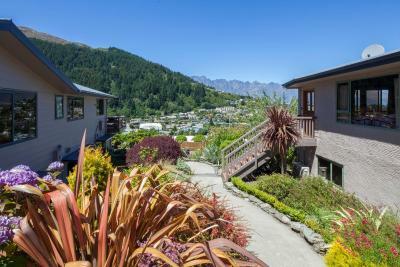 Offering views of the surrounding mountains, Coronet View is a 4-star property in Queenstown, just 2,650 feet from the town center. Free WiFi and free parking are available on site. Each unique guest room is beautifully furnished. Some rooms include a flat-screen TV, touch lamps and private bathroom. A communal lounge is available between October and May to socialize in. 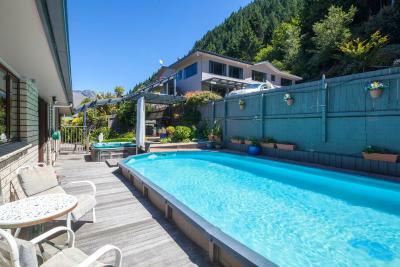 The property is 6.2 mi from Queenstown International airport. When would you like to stay at Coronet View Bed and Breakfast? Spacious and airy the superior rooms offer expansive views of the mountain range. The room is furnished with a bedspread, sheepskin lined electric blanket, sheepskin rug, wooden furniture, bedside cabinets, touch lights, radio alarm clock and a wall mounted flat-screen TV with DVD player. 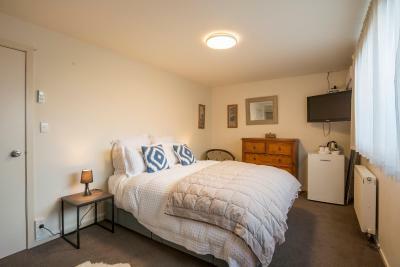 The room features a small refrigerator and tea and coffee making facilities. The fully tiled private bathroom is equipped with heated towel rail, hairdryer, shower, fluffy towels and guest toiletries. Please note that the price is based on 2 guests. 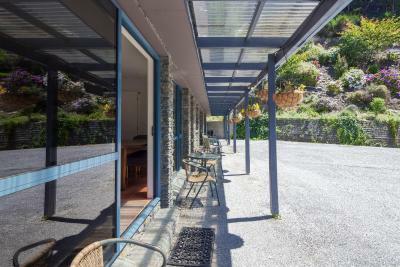 Additional guests are charged an extra NZD 40 per person, per night. A spacious room offering mountain views. The deluxe rooms are furnished with bedspreads, sheepskin lined electric blankets, sheepskin rugs, wooden furniture, bedside cabinets, touch lights, radio alarm clock and a wall mounted flat-screen TV. 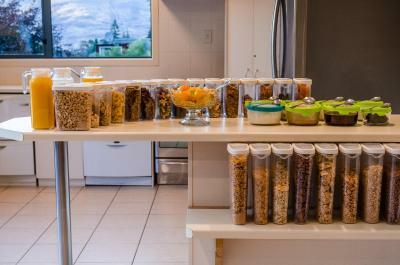 The room features a small refrigerator and tea and coffee making facilities. 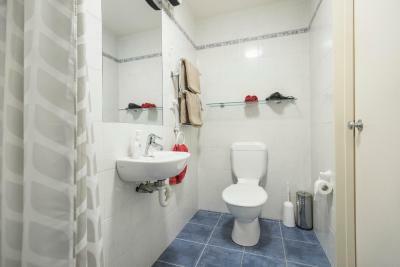 The fully tiled private bathroom is equipped with heated towel rail, hairdryer and guest toiletries. The spacious, deluxe rooms offer mountain views. These rooms are furnished with bedspreads, sheepskin lined electric blankets, sheepskin rugs, wooden furniture, bedside cabinets, touch lights, radio alarm clock and a wall mounted flat-screen TV. 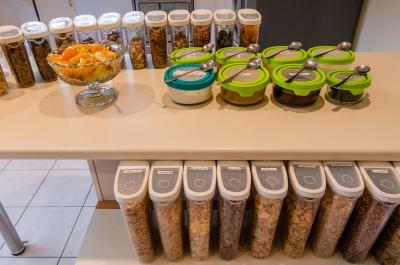 The room features a small refrigerator and tea and coffee making facilities. 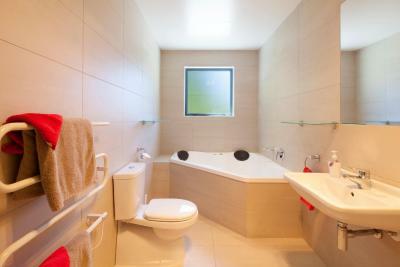 The fully tiled private bathroom is equipped with heated towel rail, hairdryer and guest toiletries. These room-only rooms, offer one queen-sized bed furnished with sheepskin lined electric blankets, bedside cabinets, touch lights, radio alarm clock and a wall mounted flat-screen TV. 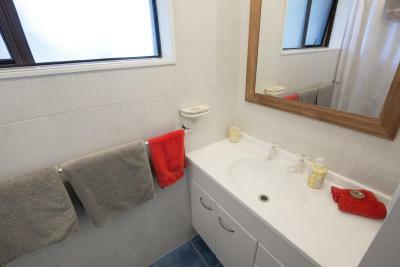 Located across the hall from the room is a detached private bathroom which is equipped with a heated towel rail, hair dryer and guest toiletries. Tea and coffee making facilities are available in the room. Please note no breakfast or kitchen facilities are included in this room type. These rooms offer one queen-sized bed furnished with sheepskin lined electric blankets, bedside cabinets, touch lights, a radio alarm clock and a wall mounted flat-screen TV. The room has an private bathroom. House Rules Coronet View Bed and Breakfast takes special requests – add in the next step! Coronet View Bed and Breakfast accepts these cards and reserves the right to temporarily hold an amount prior to arrival. Please note that children under 12 years of age cannot be accommodated in the bed and breakfast room types. Reception opening hours are 15:00 - 18:00. Please note you cannot check in outside reception hours. Please advise the property of the number and age of guests staying in each room. You can use the Special Requests box when booking, or contact the property using the contact details found on the booking confirmation. Please note that special requests are subject to availability, are not guaranteed and additional charges may apply. Please inform Coronet View Bed and Breakfast of your expected arrival time in advance. You can use the Special Requests box when booking, or contact the property directly using the contact details in your confirmation. A little overpriced and dated. The location was excellent the hosts were friendly and informative. 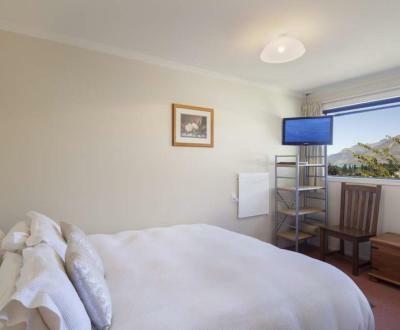 The room was great value for money being so close to the centre of queenstown we could walk in and taxi back not expensive. I liked the location, the view and the comfortable bed. Thin wall. Small room. Needed to write down my credit card number on a paper for them to keep as a deposit didn’t make me feel very secure cuz I don’t know how they will treat or dispose the paper with my personal information on. The staff were super friendly and efficient. Distance from centre was known, but it was up a VERY steep hill for the final 200 metres TV in our room and lobby had only 5 poor channels. No cooked breakfast offered, not even an egg. Everyone and everything was excellent apart from one man on our first morning at breakfast. He was an older man that was making toast and drinks , He was quite rude to my husband . 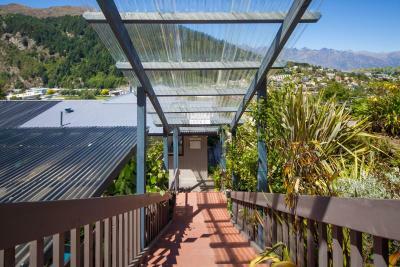 Up hill out of town, lovely quiet location, pretty gardens, laundry room and dryer and kitchen for general use. Also small swimming pool and hot tub which were a real treat. Very reasonably priced. We were disappointed that the room was small with a tiny en suite. There was no view at all - just the garden bank - our climb up the hill was hardly rewarded! This property was best suited for someone with a car. The welcome was good, we were able to leave our luggage even though our room was not available- we were early. There was a supply of fresh milk in the fridge together with tea and coffee. The property is well signposted.